The recommendations made by the NBSS Occupational Therapists in this school were implemented creating an environment that was more predictable, consistent and orderly. In addition to working on the environment with partner schools, the NBSS Occupational Therapists also facilitate interpersonal skills groups as part of NBSS Level 2 and 3 interventions. Addressing the impact of environmental factors on students is part of the work undertaken by the NBSS Occupational Therapists. The demands of a secondary school dictate that a student must negotiate a busy and often overwhelming environment on an hourly basis. An environmental audit can highlight issues and make recommendations for suitable alterations that can impact positively on student behaviour and learning. 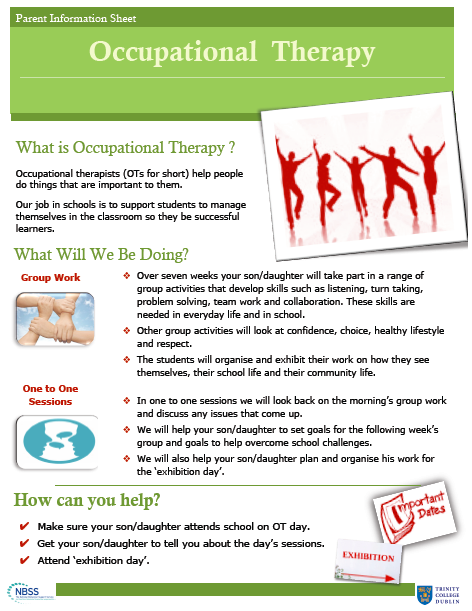 The NBSS Occupational Therapists support partner schools to assess the physical and sensory environment. Designs and layout need to be legible through the repetition of visual, auditory and tactile signs, cues and patterns. 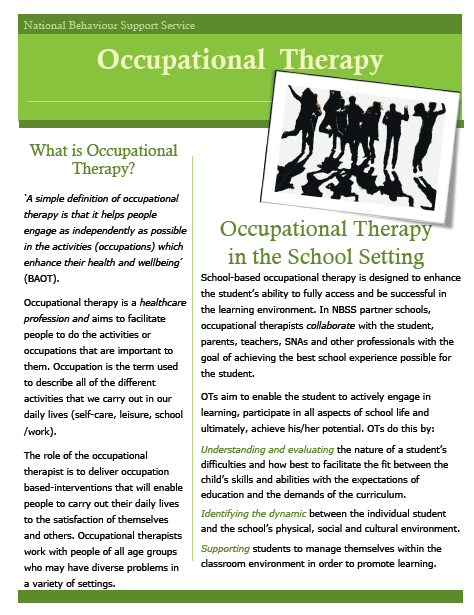 In addition to working on the environment with partner schools, the NBSS Occupational Therapistsalso facilitate interpersonal skills groups as part of NBSS Level 2 and 3 interventions. * In 2012 a study at Salford University in the UK found that the classroom environment can affect a child’s academic progress over a year by as much as 25%. 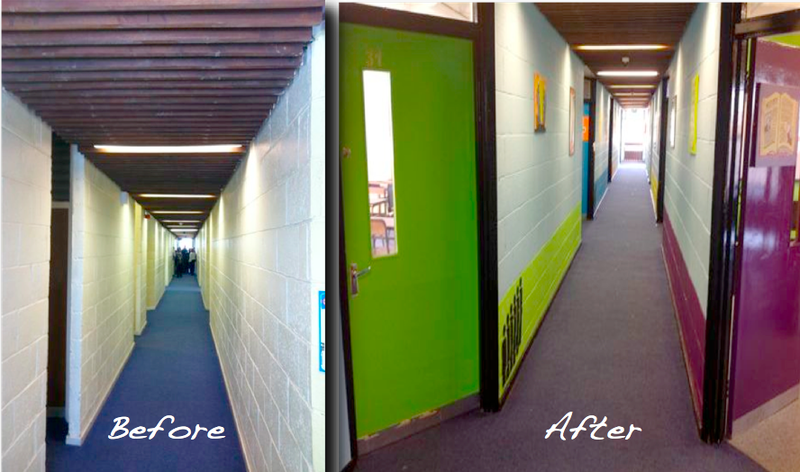 The most significant design factor appeared to be how well the school allowed students to flow through the building.